I kinda lost my weaving mojo when we put the guest bed in my craft room and I packed my Baby Wolf into mini-storage. 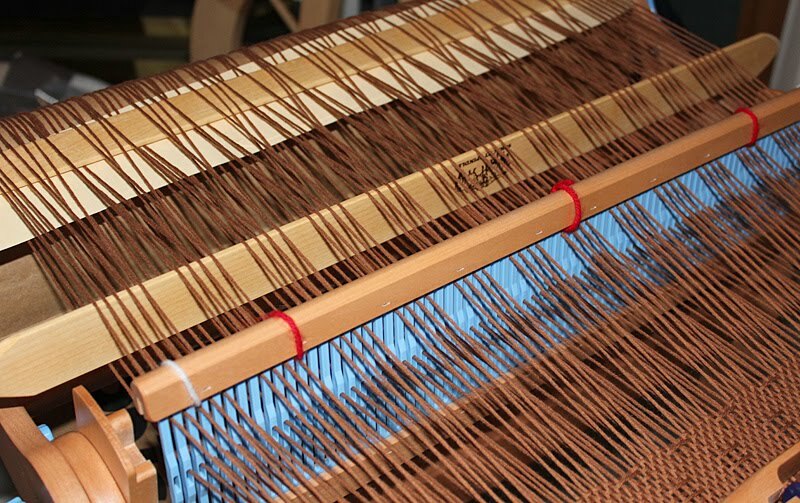 I've had a warp on the Walling loom for over a year and haven't done anything with it. Just haven't felt like weaving; it seemed such a hassle to get started again. I think that's changing. I signed up for a lace weave rigid heddle class at my local yarn store, mostly because I'm teaching a crochet border for weavers class in December and needed a sample (and because Deb is the best weaving teacher ever.) 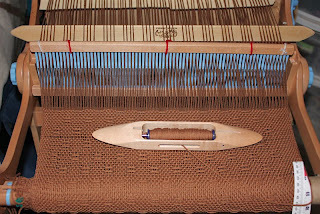 We warped the loom in the first class and once I got it home, it just sat. For two weeks. Until about 8 hours before the next class, when I finally got my b**t in gear. Weaving on a RH loom with multiple pick-up sticks is sloooowww going. Throw six picks, put in stick B. Throw six more picks, take out stick B. But once I settled into a rhythm, I picked up a little speed. 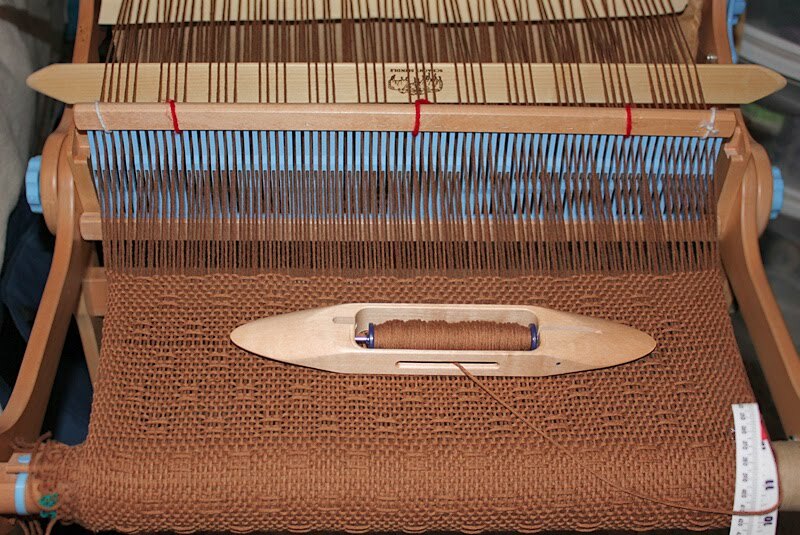 I had about 38", in 3 separate patterns, woven by class time. That's about 2/3 of the project. Just need to finish up the last two repeats, take it off the loom and wash it before sharing it here. 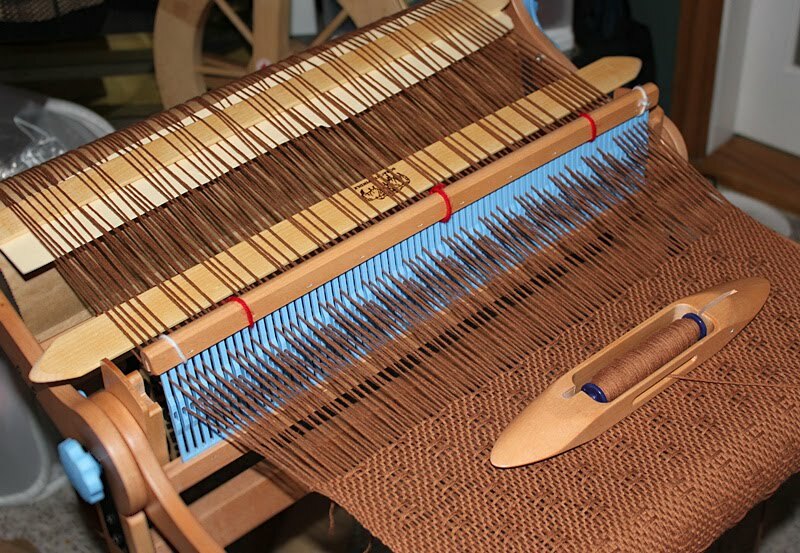 Weaving, I've missed you. Hope you're back to stay.